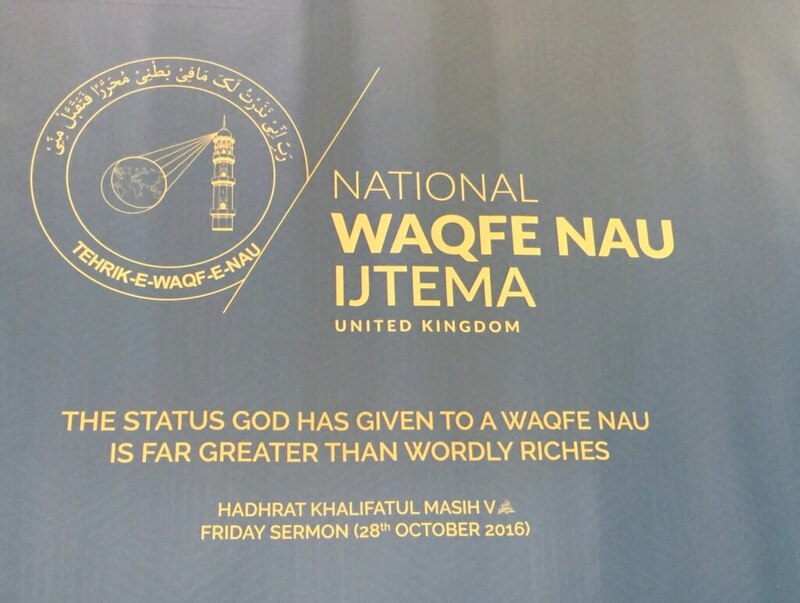 With the recitation of Surah Al-e-Imran, verses 33 to 36 and translation, the UK Waqifeen-e-Nau Ijtema’s concluding session commenced in the presence of Hazrat Amirul Momineen, Khalifatul Masih Vaa in Baitul Futuh, London on Sunday, 7 April 2019. Following the recitation of the Quran was the recitation of a poem written by Hazrat Musleh-e-Maudra. 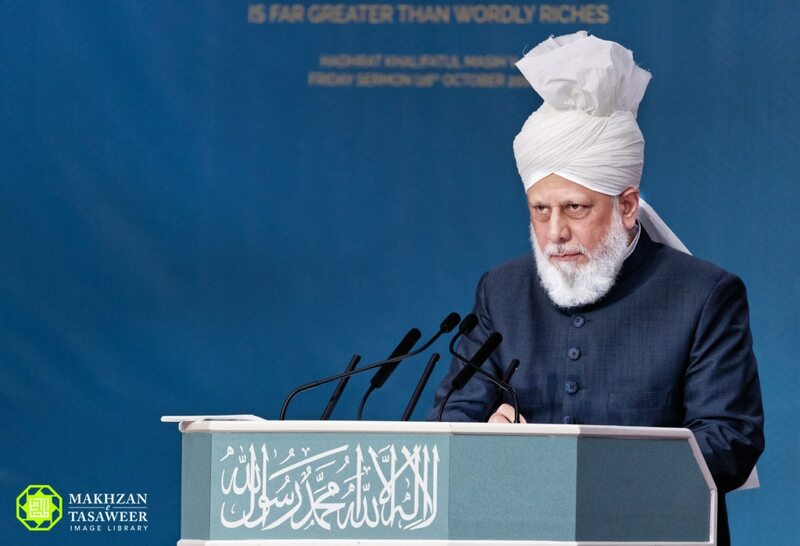 Hazrat Amirul Momineen, Khalifatul Masih Vaa began his speech by saying that it was encouraging to see that the number of Ahmadi parents dedicating the lives of their children to the scheme of Waqf-e-Nau was increasing. “Some [of you] are in school whilst many have completed their higher education. Having done so, some of you are serving the Jamaat full-time as Waqf-e-Zindagi, whilst quite a number are now posted in the field as missionaries after completing their studies and training from Jamia Ahmadiyya. 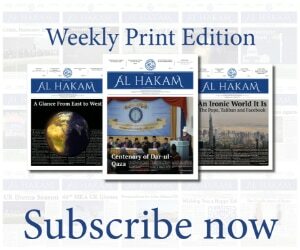 There are others who, with the permission of the Jamaat, are pursuing various professions, however it is vitally important that those who are working privately must set aside as much time as possible for the service of their religion and should always keep in mind that they are Waqf-e-Nau. Hazrat Khalifatul Masihaa then emphasised the worship of Allah, establishing a strong bond with Allah and the five obligatory prayers. Huzooraa said that the youth should make every effort to attend congregational prayers at local mosques and Salat centres. Unfortunately, there were some who, when asked, admitted that they did not offer the five daily prayers as is required. While drawing the attention of the Waqifeen towards Salat, Huzooraa added that responsibilities of Waqifeen-e-Nau included that they fulfil their rights to Allah, whilst also fulfilling the rights of fellow beings. For this, Huzooraa drew the attention of the parents of Waqifeen to ensure that their tarbiyat was being done to the best level. Coming back to the Waqifeen, Huzooraa said that to understand what is required of us, we must study the books and words of the Promised Messiahas. “The Promised Messiahas also taught that those who associated themselves with him should devote their lives to their faith in the same way he did. So, we must keep the great personal example of the Promised Messiahas firmly within our sights at all times. “During his life, the Promised Messiahas devoted his every day and every night for the sake of Islam till his final breath. Every moment of the Promised Messiah’sas life was spent in fulfilling his divine mission to revive and spread the true teachings of Islam throughout the world. “For example, on one occasion, the Promised Messiahas said that he continued to work until he felt as though he was about to collapse due to extreme exhaustion. Only at that point of complete fatigue would the Promised Messiahas lie down and rest for a short period. This was the noble example of the Promised Messiahas and it is our task to follow in his blessed footsteps. Hazrat Khalifatul Masih Vaa explained that as the younger Waqifeen entered adulthood, they should remember that it was not essential that they would be immediately called for the service of the Jamaat. In such circumstances, the Waqifeen should not let the world consume them and they should try their utmost to increase their spiritual conditions and religious knowledge. Referring to the verse “And Abraham who fulfilled [the commandments]” (Surah al-Najm, Ch.53: V.39), Huzooraa said that it was essential for all Waqifeen to live their lives with the same loyalty as Hazrat Abrahamas. Another instruction of the Promised Messiahas, Huzooraa described, was that devotion required us to completely immerse ourselves in the service of God’s religion. Huzooraa said that we must avoid all forms of distractions that take us away from our actual purpose and our devotion to Allah the Almighty. “All of you should deeply reflect upon this point and assess your own lives to see if you are being taken away from your faith by the many worldly activities and superficial pursuits that are common today. If such material interest causes a person to forget Allah the Almighty, how can he or she claim to follow the example of loyalty and obedience displayed by Hazrat Ibrahimas or to reach the standards expected by the Promised Messiahas. Alongside the obligatory prayers, Huzooraa said to the Waqifeen that they should also offer nawafil – voluntary prayers. 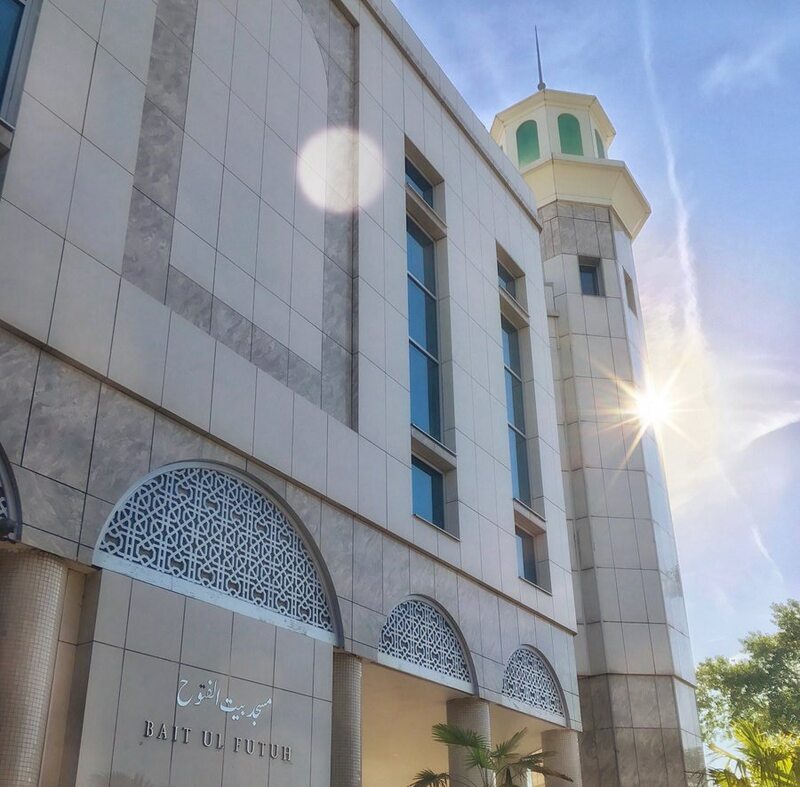 Waqf-e-Nau, especially the older Atfal and Khuddam, should carefully read the translation of the Holy Quran, as well as the commentaries of the Promised Messiahas and the Khulafa. The commandments of Allah should be well understood, and only when this is done can one call themselves a good Waqf-e-Nau. Hazrat Khalifatul Masihaa emphasised that along with strong bodies, strong minds were also important to face the many challenges that lie ahead. In terms of tabligh, Huzooraa said that Waqf-e-Nau should be at the forefront. To understand their faith and religion, Huzooraa reminded attendees that the Holy Quran and the Jamaat’s publications and magazines should be studied. Towards the end of his address, Huzooraa reminded the Waqifeen to listen to his sermons on MTA and to make those instructions a part of their daily lives. Concluding his address, Huzooraa prayed that the Waqifeen were able to fulfil their responsibilities and that their understanding and knowledge of their faith increased. Huzooraa prayed that the Waqifeen were able to remain loyal to the Jamaat and fulfil their pledges to the best of degrees.